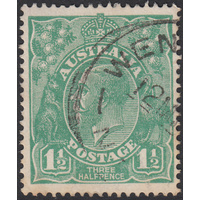 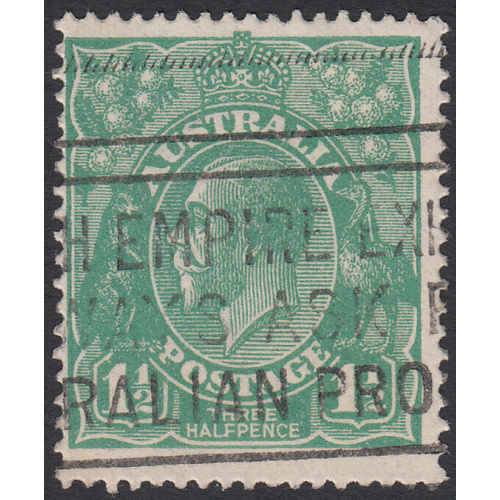 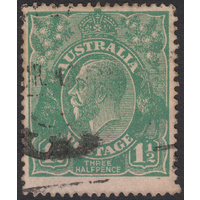 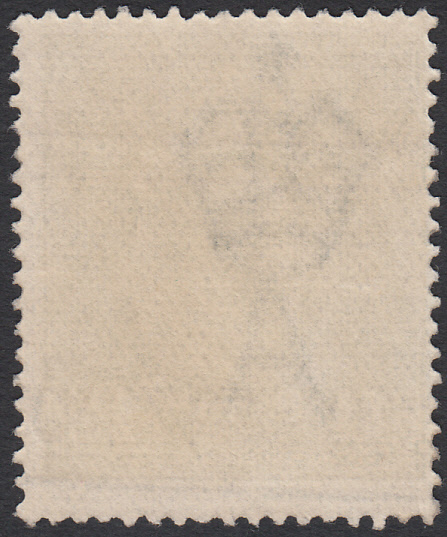 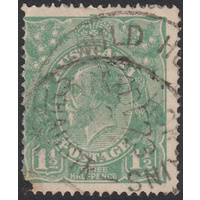 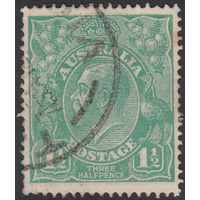 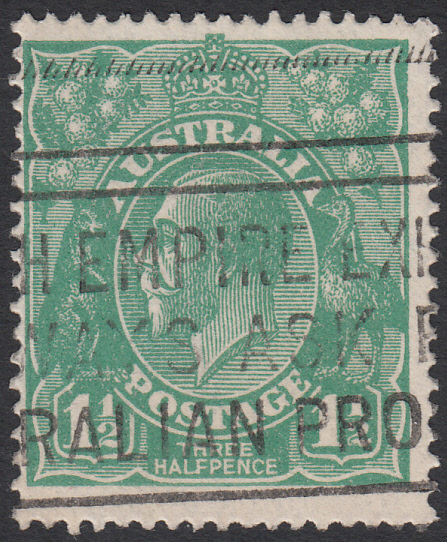 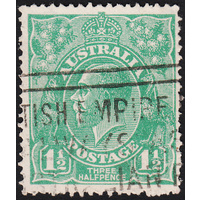 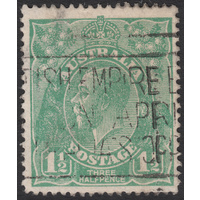 Australia KGV 1924, 1&1/2d Green, Single Watermark, variety 15L39, First State, (Flaw joining base of L and F of HALF) in Good Used condition with no faults. 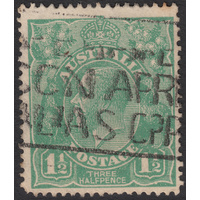 Centered left with a slogan cancellation clear of the variety. 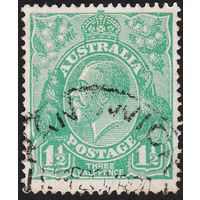 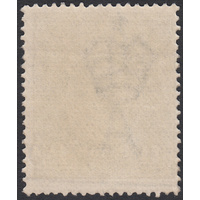 Help other KGV variety stamps users shop smarter by writing reviews for products you have purchased.